Liver cancer, pancreatic cancer, gallbladder cancer, cholangio carcinoma, acute and chronic hepatitis, cirrhosis of the liver and so on. 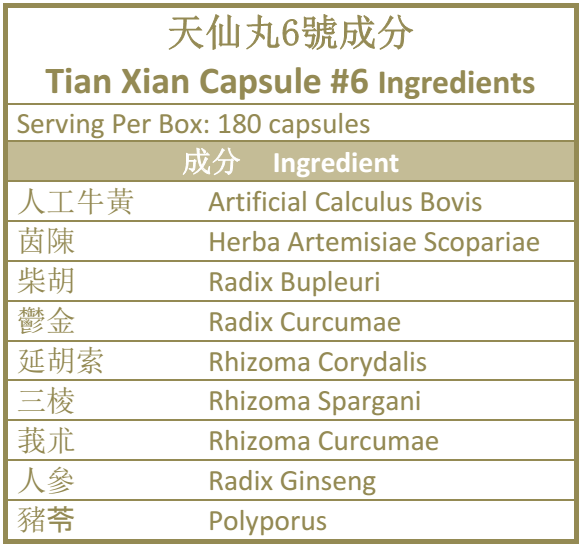 TIAN XIAN Capsule #6 is composed of Chinese herbal medicine for liver, gallbladder and pancreas and is mainly used for liver cancer, gallbladder cancer and pancreatic cancer. It may help strengthen the body’s resistance and may eliminate pathogenic factors. Radix Ginseng and Umbellate Pore may help improve the immune function of the body. Other components may attack or may restrain cancer cells on liver, gallbladder and pancreas that may eliminate the tumor. Herba Artamisiae Capillaris may reduce liver damage and may prevent ascites carcinoma cell. It may be used for malignant tumor of liver and gallbladder system, pancreatic cancer, ascites, and also celiac tumor. Radix Bupleuri may reduce the liver damage and increase bile secretion. 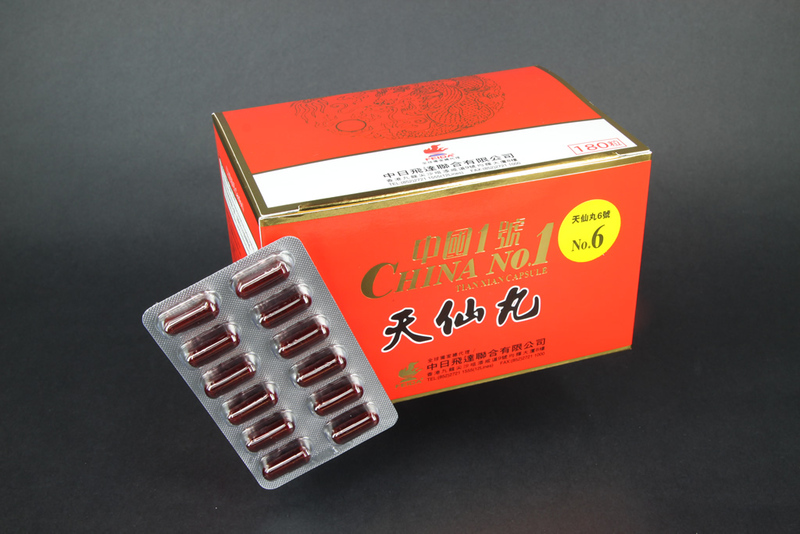 It is often used for tumor of liver, gallbladder, pancreas, hepatitis, liver cirrhosis, cholecystitis, and cholangitis.